Will Disney Finally Do the Right Thing? | "Northern Crossings"
Will Disney Finally Do the Right Thing? We have learned from the media and from Senator Elizabeth Warren that the use of the name Pocahontas is a “racial slur”. 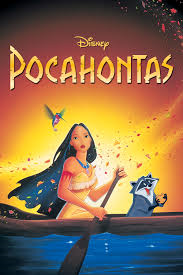 She said so in an interview and the dutiful press repeated it verbatim about 100 times and evidently some Native American “leaders” said the same So will Disney finally do the right things and take the movie “Pocahontas” off the shelves and try to buy back all the copies that have been released and sold? We are told not to read “To Kill a Mockingbird”, “Tom Sawyer”, “Gone With the Wind” and other classics because of racial sensitivity, why would we allow a movie whose very title is a racial slur to see the light of day? Will Disney finally do the right thing and remove this travesty? We are all learning so much about race and sexual harassment in the last few week. As Senator Al Franken, has said the charges of sexual harassment are “teachable moments” and he wants to learn as much as he can. We can only hope that Disney learns the lesson and does the right thing. We can hope but I wouldn’t hold my breath. Conviction and the Mission and Gospel.